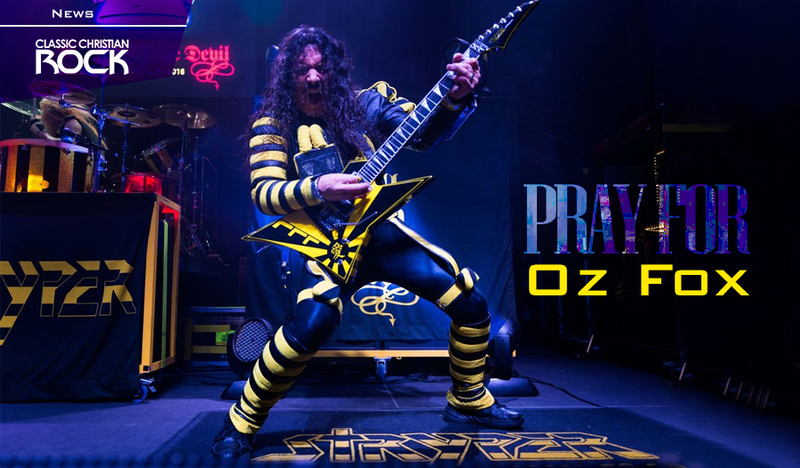 The Guitarist of the iconic band Stryper, OZ FOX, has been hospitalized in Las Vegas after suffering a fall from the stage while playing as a guest in the band SIN CITY SINNERS on Saturday night, (August 11). Hours later, Oz Fox's wife, Annie Lobert, would write on her Facebook account: " Major emergency prayer request! If you are up please agree with me in prayer for healing for my husband. Oz Fox Hospital emergency! Jesus please help us! " There are still no details about Oz Fox's health, but we ask everyone to pray that God will help him get out of this difficulty.